If you crashed a drone, there are reporting requirements. Below we will discuss the reporting requirements you make to the FAA and the reporting requirements you make to the National Transportation Safety Board (“NTSB”) following a drone crash. Just to be clear, this whole page does NOT apply to Part 101 model aircraft. The FAA also has a website where you can report a crash. Note that the NTSB’s definitions of accident and unmanned aircraft accident and the FAA’s definition of accident in 107.9 are ALL different. It would have been a good idea for the FAA to just match up the definitions of 107.9 to 830.2 to keep things simple. Keep in mind that this article is primarily focusing on Part 107 operations, NOT Section 333 exemption operations, but most 333 exemptions have a provisions that requires notification to the FAA UAS Integration Office and NTSB so this article is still very relevant although some the requirements might differ. The language of the exemption and Blanket COA supersedes these requirements. Report an “accident” or “serious incident” (Part 830’s definitions) immediately to the NTSB Response Operations Center. Send NTSB Form 6120.1 in within 10 days for an accident or 7 days for an overdue aircraft that is still missing. For a serious incident and if requested, send in the form. No time is mentioned in 830.15. Notify the FAA within 10 days of the occurrence of an accident (107.9 “accident”). “NASA Form” is within 10 days of the violation. During this 10 day period, you have time to call an attorney to help in figuring out how best to handle the situation and what to say in your report. Don’t want to read? Watch the video of this article! Who is the NTSB? How Are They Different than the FAA? In addition to doing investigations, the NTSB can judge appeals of FAA enforcement actions brought against manned aircraft pilots and drone pilots. There are two levels of appeal with the NTSB: (1) the administrative law judge level (ALJ) and (2) the full board of NTSB members. Some of you might remember the Pirker case. The Pirker case was initially won at the ALJ level, but on appeal to the full NTSB Board, was remanded back to the ALJ to determine if Pirker’s flight was careless and reckless. The Reporting Requirements to Make to the NTSB. Keep in mind the you must IMMEDIATELY notify the NTSB and one quick way you can do this is by contacting the NTSB’s 24-hour Response Operations Center (ROC) at 844-373-9922 to file a report. Contacting the ROC satisfies 49 CFR 830.5. The below text comes from the NTSB Advisory on Drones which you can download here. The use of small civil unmanned operating systems (sUAS) is growing rapidly, with changes happening on a nearly daily basis. In particular, the Federal Aviation Administration (FAA) and the Department of Transportation’s Office of the Secretary issued a new final rule on the operation and certification of small unmanned aircraft systems and the FAA recently issued a new “blanket Certificate of Waiver or Authorization (COA)” for commercial Section 333 and Public Aircraft operators. The new Part 107 rule, the FAA Blanket COA, and other FAA authorizations for UAS operation, direct UAS operators to provide expedited notification to the FAA in the event that any of a series of enumerated occurrences take place during the operation of a UAS. Included in these instructions are reminders that the FAA procedures “are not a substitute for separate accident/incident reporting required by the National Transportation Safety Board (NTSB) under 49 CFR §830.5.” By means of this Advisory, the NTSB reminds operators of any civil UAS, other than those operated for hobby or recreational purposes, of the NTSB’s accident and incident reporting requirements in Part 830 of title 49, Code of Federal Regulations. In August of 2010, the NTSB revised its Part 830 regulations to clarify that its accident and incident notification requirements apply to unmanned aircraft as well as conventional manned aircraft. Section 830.5 instructs operators of civil aircraft and certain public aircraft to immediately, and by the most expeditious means available, notify the NTSB when an accident or listed incident occurs. An accident will result in the NTSB’s initiating an investigation and report with a determination of probable cause. In order to minimize the burden on operators of a small UAS and the NTSB, we have exempted from the definitions of “aircraft accident” and “unmanned aircraft accident” in section 830.2 of the NTSB regulations those events in which there is only substantial damage to the aircraft (no injuries), and the aircraft has a maximum gross takeoff weight of less than 300 pounds. This is what happened with the Facebook drone. You can read the NTSB crash report. Although any of the incidents enumerated in section 830.5 would require the operator to notify the NTSB, the agency at its discretion may decide to conduct a full investigation with probable cause. (2) The aircraft has a maximum gross takeoff weight of 300 pounds or greater and sustains substantial damage. Section 830.2 also provides definitions of what constitutes “serious injury” and “substantial damage”. Flight control system malfunction or failure: For an unmanned aircraft, a true “fly-away” would qualify. A lost link that behaves as expected does not qualify. Inability of any required flight crewmember to perform normal flight duties as a result of injury or illness. Examples of required flight crewmembers include the pilot, remote pilot; or visual observer if required by regulation. This does not include an optional payload operator. In-flight fire, which is expected to be generally associated with batteries. More than $25,000 in damage to objects other than the aircraft. Release of all or a portion of a propeller blade from an aircraft, excluding release caused solely by ground contact. Damage to helicopter tail or main rotor blades, including ground damage, that requires major repair or replacement of the blade(s). Below are examples of potential events. A small multirotor UAS has a fly-away and crashes into a tree, destroying the aircraft: Not an accident, (though substantial damage, too small, and no injuries), but the operator is required to notify the NTSB of a flight control malfunction. NTSB may initiate an investigation and report with a determination of probable cause. A small multirotor UAS has a fly-away and strikes a bystander causing serious injury: Accident (resulted in serious injury). The operator is required to immediately notify the NTSB. The NTSB must investigate the accident and determine a probable cause. A small multirotor UAS hits a tree due to pilot inattention on a windy day: Not an accident (too small, even if substantial damage). However, the operator is required to notify the NTSB if other criteria of 830.5 are met. NTSB may initiate an investigation and report with a determination of probable cause. A large, experimental UAS (400 lbs) has a structural failure and crashes in a remote area: Accident (substantial damage and gross takeoff weight of 300 lbs. or greater). The operator is required to immediately notify the NTSB. NTSB must investigate and determine a probable cause. We’d also like to remind unmanned aircraft operators that none of Part 830 is intended to apply to hobbyist or recreational operators as described in section 336 of the FAA Modernization and Reform Act of 2012 and applicable FAA guidance. We hope this advisory serves as a useful reminder to the UAS community that the NTSB remains committed to performing its long-standing mission to support air safety through accident and incident investigation, while placing a minimum burden on this growing industry. This guidance applies to any unmanned aircraft operated under Part 107, 333, civil COA, experimental certificate, etc. UAS operators should note that they may have additional reporting requirements to the FAA, military, or other government agencies depending on the applicable regulations under which they are operating. What happens after I call the NTSB phone number? After contacting the NTSB’s 24-hour ROC, your notification will be taken and forwarded to the appropriate NTSB division for processing. The reported event will be evaluated and a determination will be made whether or not the NTSB will investigate the event. 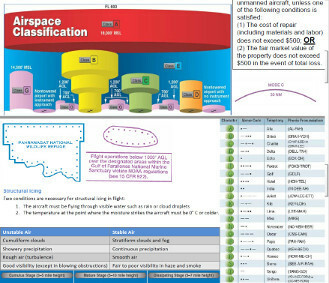 All aircraft accidents as defined by 49 CFR 830.2 are investigated in some capacity, as are select incidents. If an investigation is opened into an event, an investigator will then contact the operator/reporting party to request additional information. While I’m waiting, do I have to protect the aircraft wreckage? (a) The operator of an aircraft involved in an accident or incident for which notification must be given is responsible for preserving to the extent possible any aircraft wreckage, cargo, and mail aboard the aircraft, and all records, including all recording mediums of flight, maintenance, and voice recorders, pertaining to the operation and maintenance of the aircraft and to the airmen until the Board takes custody thereof or a release is granted pursuant to §831.12(b) of this chapter. (c) Where it is necessary to move aircraft wreckage, mail or cargo, sketches, descriptive notes, and photographs shall be made, if possible, of the original positions and condition of the wreckage and any significant impact marks. I called the NTSB phone number. I am currently waiting for an NTSB investigator to contact me. Is there anything I can do now to assist the investigation? Keep in mind that Form 6120.1 has many boxes and fields that are not very applicable to drone pilots. Just do the best you can in filling it all out. The investigator will contact you if there are any questions. There are two types of reporting made to the FAA: (1) when there has been a deviation from the regulations and requested to report, and (2) when there has been an accident. The FAA gives you 10 days to respond. I would highly suggest you take this time to contact an attorney. Remember that the FAA can prosecute you if you did something stupid. (2) The fair market value of the property does not exceed $500 in the event of total loss. Why is the $500 number important? What Do I Report to the FAA? You are really between a rock and hard place if there is a crash. Why? Because law enforcement or someone else will likely report the accident to the FAA. If you don’t report, you will get in trouble. If you do report, you COULD get in trouble. You might want to contact an attorney during this 10 day period before you file the report. Remember that everything you report can and will be used against you. Unfortunately, the FAA said, “The FAA disagrees that SMS and ASRS systems should be covered on the [Part 107] knowledge test. . . . because ASRS is not currently required knowledge for part 61 pilot certificate holders.” This means you aren’t required to KNOW this but you SHOULD. On top of the FAA NOT requiring you to know this, they mention NOTHING about this report in AC 107-2. Remember, this report benefits you more than the FAA. (4) The person proves that, within 10 days after the violation, or date when the person became aware or should have been aware of the violation, he or she completed and delivered or mailed a written report of the incident or occurrence to NASA. There are no limitations on how many NASA Reports you can file. Immunity will not be granted if you received an enforcement action and have been found in violation of the FAR’s within the previous 5 years from the date of occurrence. deidentified before NASA sends the information to the Department of Justice for criminal actions or the FAA and NTSB for accidents. This means the report you filed with your name, phone number, address, and a whole bunch of other goodies is going to be sent over to the guys who can prosecute you! How convenient. So if you did something criminal or were involved in an accident, ESPECIALLY if you are unsure if you fall into one of those categories or not, you should contact me. Flying intentionally into a 99.7 TFR is a criminal penalty. Keep in mind that this is a waiver from disciplinary action. You will still have a violation show up on your pilot record. Great. So there aren’t any other issues with reporting? Potentially. Section 91.25 says, “The Administrator of the FAA will not use reports submitted to the National Aeronautics and Space Administration under the Aviation Safety Reporting Program (or information derived therefrom) in any enforcement action except information concerning accidents or criminal offenses which are wholly excluded from the Program.” The problem is that is Part 91 and NOT part 107. The FAA didn’t include a Part 107 equivalent. We know that NASA won’t give over the info. The FAA can find out a lot of info on their own and can initiate an enforcement action. The idea of the NASA Form was to prevent the imposition of a civil penalty or suspension when the FAA got the info on their own. The FAA indicated in the Part 107 preamble they would continue to honor the program. However, they could change their mind in the future, it isn’t a regulation, and go after people who have filed a NASA Form, but they would get insane amounts of pressure from the safety community to not do that. I’m just making you aware of this situation. I hope this helps you guys understand what you need to do and when you need to contact me after a crash. Keep in mind that this was only about the FAA and NTSB, not about other potential liability issues that could come about as a result of the crash. Id. citing 49 U.S.C. § 1154(b). See 81 Fed. Reg. 42063 (June 28, 2016). This action fulfills Congress’s direction in section 332(b) of the FAA Modernization and Reform Act of 2012, Pub. L. 112-95, for the Secretary of Transportation and the FAA to issue a final rule on small unmanned aircraft systems that will allow for civil operations of UAS in the National Airspace System. The FAA Blanket COA for any Operator issued a Valid Section 333 Grant of Exemption (FAA Form 7711-1). 75 Fed. Reg. 51955 (August 24, 2010). Operation and Certification of Small Unmanned Aircraft Systems, 81 Fed. Reg. 42, 178 (June 28, 2016). Note: The FAA just recently changed (3/7/2016) some of the language on their exemptions so this presentation is about 95% accurate. Are you interested in using commercial drones in TV/movie production? This video is specifically geared to the TV/movie production industry. How do people or companies commercially operate drones? Why do I need a Section 333 Exemption? What are some of the restrictions in a Section 333 Exemption? Myths that put production companies at risk. Common myths surrounding the Section 333 exemptions. Things you can NOT do under a Section 333 exemption and your Blanket COA. Curent federal enforcement from the FAA and other agencies as well as state and local law enforcement. Tips on vetting drone companies to making sure they are in complaince with what the FAA says. The FAA’s future proposed commercial drone rules. Operations that will NOT be allowed under the future proposed commercial drone rules. Aviation Insurance is a must for anyone that hires, leases or operates a drone for commercial use. Contact the HUB International to learn more about how aviation insurance can protect you. As a Top 10 insurance broker in the world, HUB International is a trusted provider of personal, commercial and health insurance services. HUB Entertainment specializes in providing insurance solutions to film, TV & internet production companies, touring artists & bands, concert promoters, live event producers, theatrical productions and video game publishers and developers. Please visit us at www.hubentertainment.com to get a quote for aviation insurance if you are using a drone in your business.